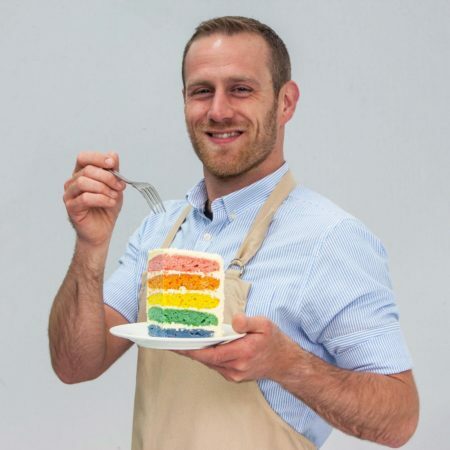 Steven comes from a family of strong baking women, and describes baking as being in his blood after his mum, Judi, taught him the basics 25 years ago. When he finally had a kitchen of his own, Steven started to take it more seriously and now cooks and bakes everything he eats and even lost 5 stone in the process. Steven has a background in marketing and a passionate love of travel, however it’s baking that consumes all areas of Steven’s life; preferring cookbooks to novels, he is more likely to be found on the tube digesting new recipes than dipping into the morning newspapers. Steven likes to update classic recipes from his mum’s old cookbooks with modern ingredients to satisfy the 21st century palate. Steven’s stuffed, flavoured bread recipe is the only one you knead to impress Paul Hollywood… and anyone else you may be baking it for. Bonus points if you can form it into a handbag sculpture. Even tricker to make than it is to pronounce, this Italian patisserie masterpiece should only be attempted by the most accomplished – or the most adventurous – of bakers. Be sure to hire a tiny pastry builder called Neville for assistance constructing a wall between the sweet and savoury ends of Steven’s Signature Bedfordshire Clanger recipe.